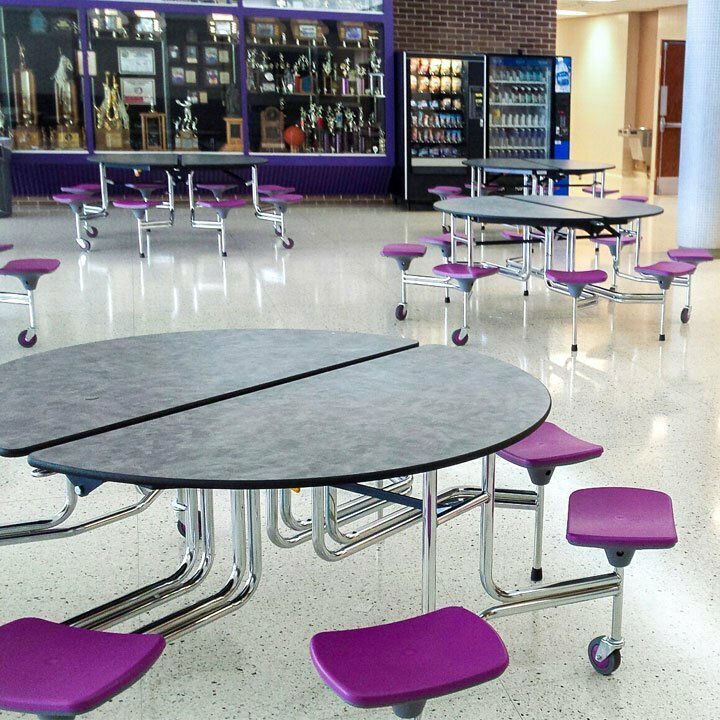 Choose the Graduate cafeteria and lunchroom table to maximize seating space while increasing student interaction and decreasing noise levels. 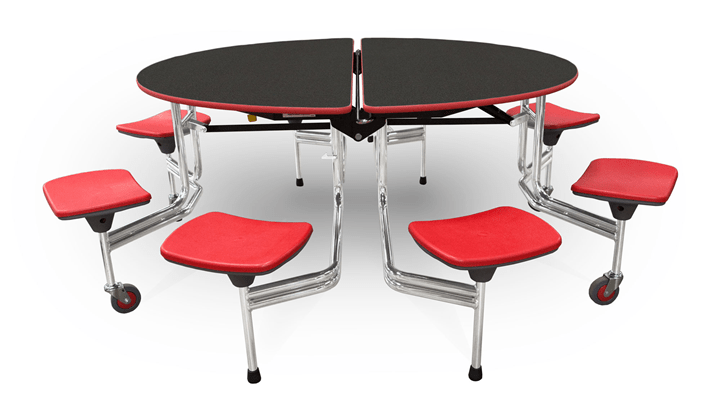 It's a great option for every age level — from pre-school toddlers through active high-schoolers — with oval and octagonal designs and attached seating that drive close-in, quiet student conversation. 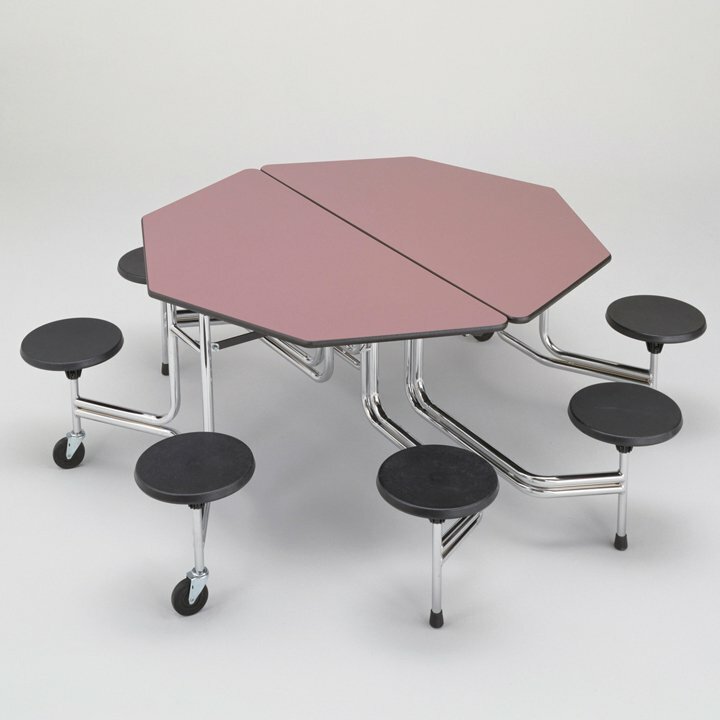 The SICO® Graduate table can serve 20%-25% more students than tables with chairs within the same footprint. 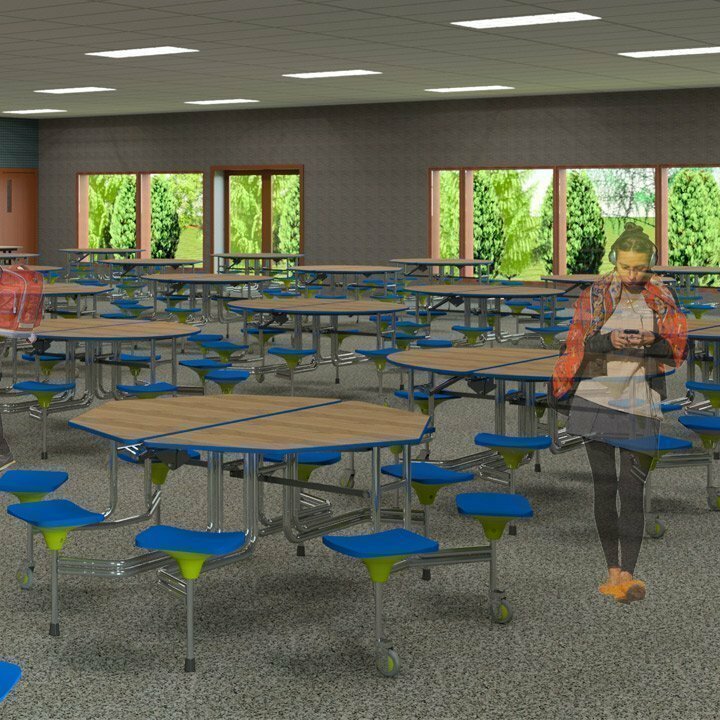 Students are not only seated more efficiently, but aisles are narrower, too since there are no chairs to slide in and out. 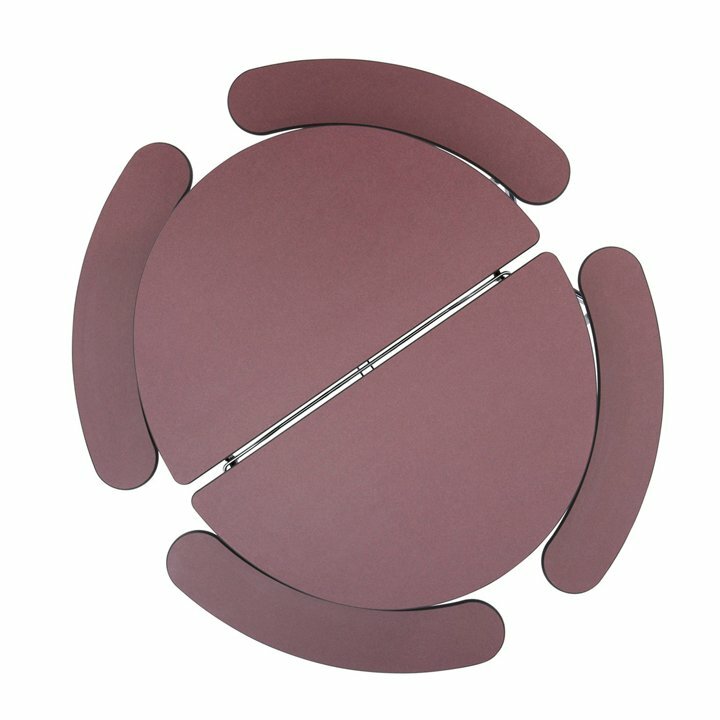 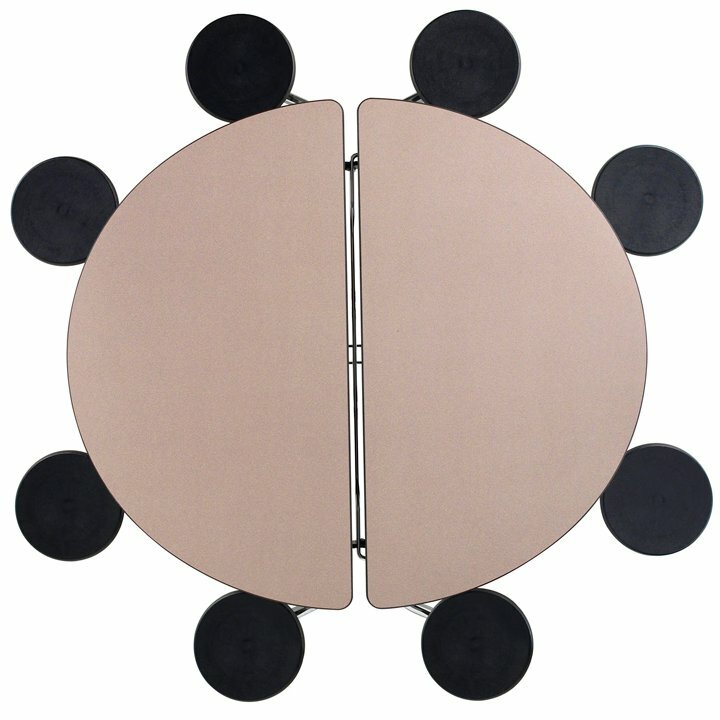 Choose from a variety of oval or octagonal designs, unique tabletop patterns and colors and put the Graduate to use for foodservice or group project settings. 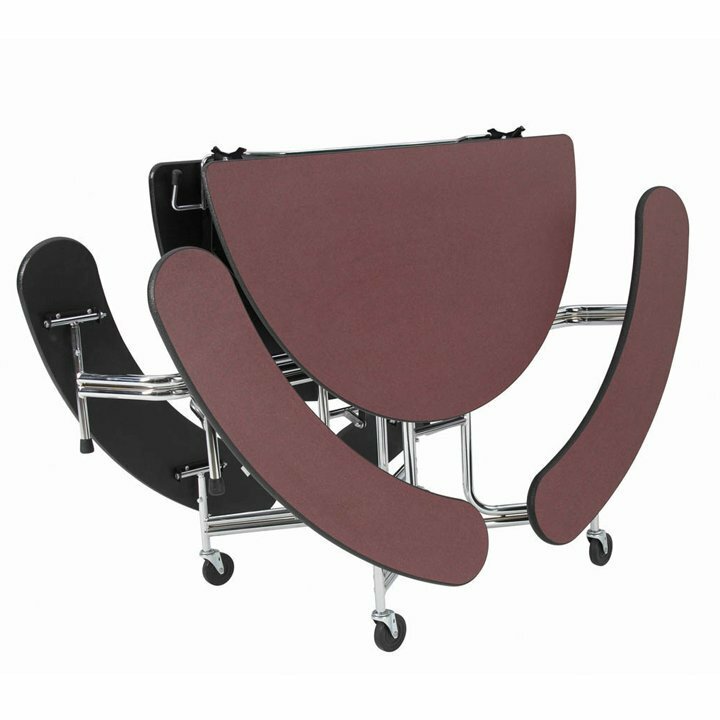 Going from stationary to mobile in seconds, the Graduate table can be folded and rolled out of the way far more quickly than any table with loose chairs. 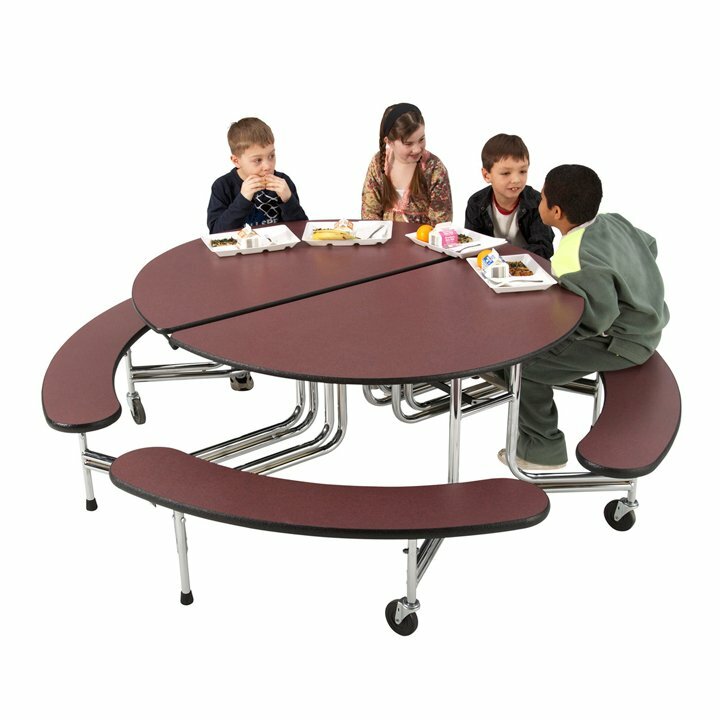 As a result, you'll enjoy lower costs and faster cleanup times. 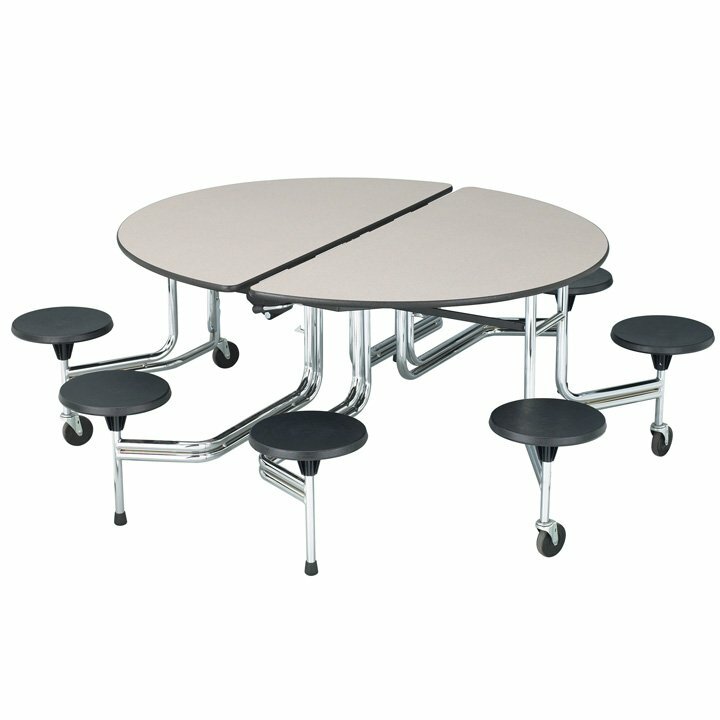 And with attached seating, floors retain their beauty longer and your custodial staff spends less time maintaining them. 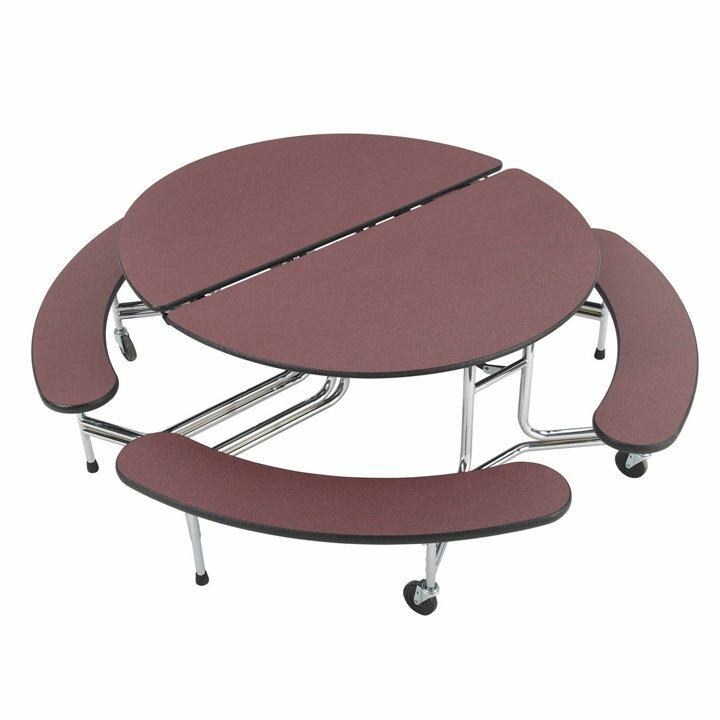 The Graduate is also very easy to handle. 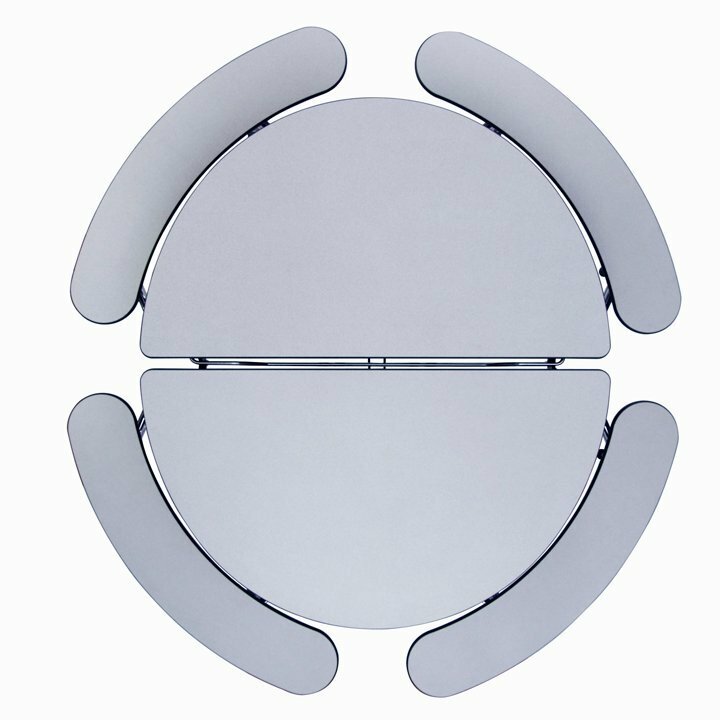 The units fold and roll easily, and nest together for compact storage.